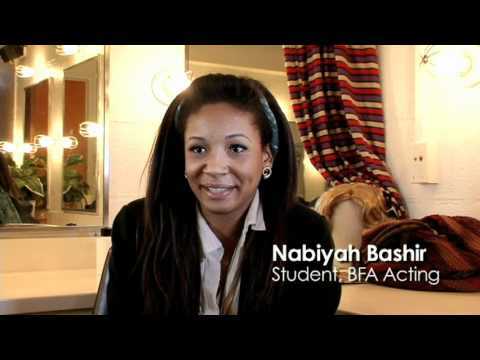 Pace School of Performing Arts acting alumna Nabiyah Be makes her film debut in “Black Panther,” the mega-hit movie produced by Marvel Studios and distributed by Walt Disney Studios Motion Pictures. Nabiyah Be plays Linda, the criminal associate of Erik Killmonger. Be appears alongside an all-star cast including Lupita Nyong’o, Chadwick Boseman, Michael B. Jordan, Angela Bassett, and Forest Whitaker. The film has a nationwide release set for February 16. “Before I came to Pace, I knew that I had the potential to create, but I didn’t know exactly how to create on my own. I’m born and raised in Salvador, which is the capital of Bahia in Brazil, and they say that people in Bahia are not just born, they debut. Pace enabled that for me,” said Be in the following video. Krislov will see “Black Panther” with students from the Pace School of Performing Arts and cheer on Be’s film debut.